The consumption of food is unlike anything else in which humans engage. Everyone has his or her own tips and tricks for staying fit, their favorite diets and those foods they try to avoid, but often they just can’t stop themselves from overindulging. For the most part, food industries make it pretty easy to know what we’re consuming. There’s plenty of information available on the Internet about what those 12-letter chemicals in the ingredients section of our favorite snacks are made from. But what about genetically modified foods or foods doused in harsh chemicals? For years companies haven’t been required to put this information on their labels. With the 2012 defeat of Proposition 37, a bill that would have required labels on foods containing GMOs, this continues to be the case in California. As students, mostly of the younger generation and the next generation of leaders, politicians and family men and women, we need to be concerned about our health. Since the limited scientific data that exists points to GMOs having long-term effects, it’s today’s young adults and children who will be left dealing with this problem in the future. One company that makes these products is Monsanto, which manufactures and produces genetically modified seeds and organisms to enhance the growth and lifespan of natural foods, such as fruits and vegetables. The idea is to make these foods larger, last longer or keep insects and critters from ruining crops. Monsanto also manufactures Roundup, an herbicide that helps farmers (and backyard gardeners, too) kill weeds without harming their crops. However, according to a recent Huffington Post article, GMO foods only serve the purpose of being immune to Roundup, yet Roundup is the main chemical sold to keep pests off crops. Since both the GMO foods and the Roundup product are made by Monsanto, it means Monsanto becomes more profitable. In other words, not only does this provision allow companies like Monsanto to get away with the continual sale of GMO foods regardless of whether a court rules a food unhealthy, it was passed as part of a larger bill that it had no business being included in. It wasn’t reviewed properly and didn’t go through a normal Congressional voting process. In another recent study performed over the entire lifetime of several rats, scientists found that “The animals on the GM diet suffered mammary tumors, as well as severe liver and kidney damage. The researchers said 50 percent of males and 70 percent of females died prematurely, compared with only 30 percent and 20 percent in the control group,” according to an article published by Natural News. 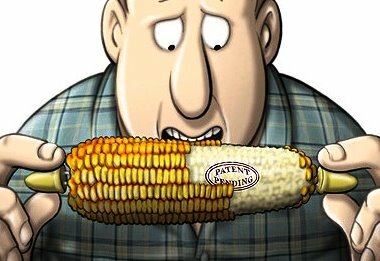 With companies like Monsanto gaining increased control of the FDA and the USDA’s ability to properly research and inform consumers, the GMO problem doesn’t appear to be one that will be easily solved. Concerned students and community members can get involved in saying that we, as Americans, will not be treated this way. On May 25, there will be a national event called “March against Monsanto,” which includes a Sacramento-specific event. Many City College students have already committed to participate in the Sacramento march, which will be held on the same day. Details about the Sacramento march can be found at the event’s official Facebook page. Regardless of the controversy of whether GMOs are bad for our health, the movement against Monsanto is really about keeping our rights as Americans and, more importantly, as humans to know what’s in our food. Don’t let the government and big business decide what we put in our bodies. The surface of this issue has barely been scratched here, but the important thing to remember is that each individual person is responsible for his or her own health. Be informed and fight back against corporate control. For more information on GMOs, Monsanto and where to find healthy, natural foods, visit www.saynotogmos.org. This entry was posted in Editorial, Sac City Express (SCC) and tagged Entropy, GMO, modified, Monsanto, Monsanto Protection Act, Proposition 37, Roundup. Bookmark the permalink.